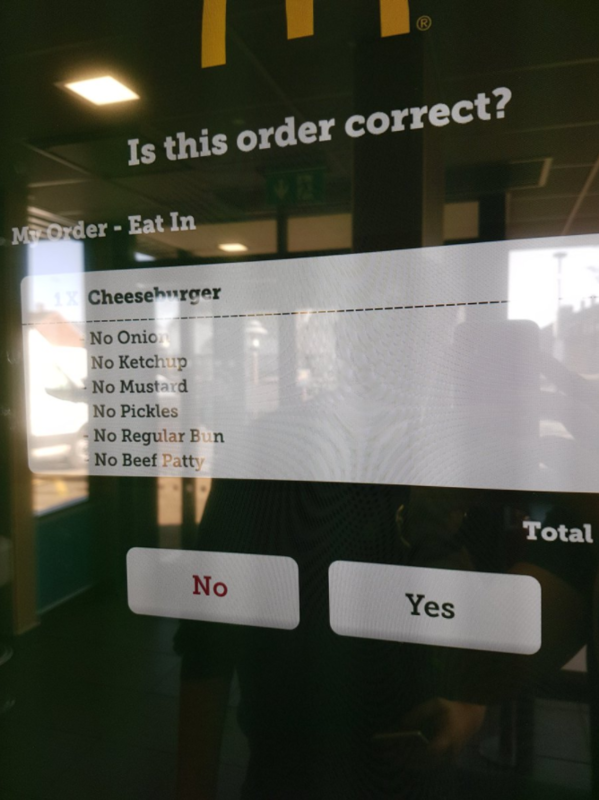 Man orders McDonalds burger on new system, doesn't get what he was expecting. It may have escaped your attention, but McDonalds have new fancy screens for ordering your food. They even give you the option to customise your order, taking the awkwardness of asking staff to hold the pickles. 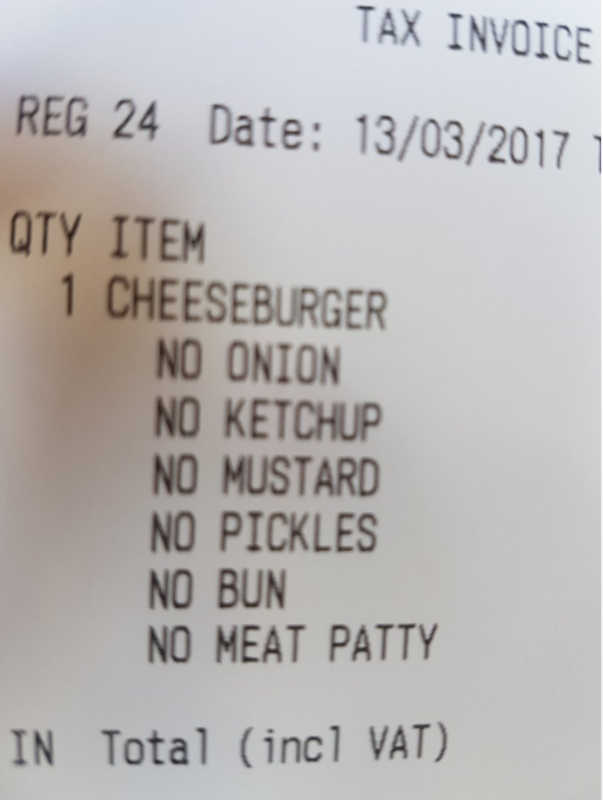 One man has tested the limits of that system, however, asking for McDonalds to withhold most of the ingredients on his cheeseburger. In fact the Scottish man asked them to withhold all the ingredients on the burger except for cheese. Here was his completed order. He clicked confirm and paid his full 99p, then got his receipt. That's a full 99p, so whatever came out, he expected it to be roughly worth 99p. Nervously he waited. What could it be? This. This is what he got. Probably exactly what he should have been expecting. A McDonalds staff member saw his order of a cheeseburger minus the cheese and threw a slice of cheese in a box like a goddamn pro. 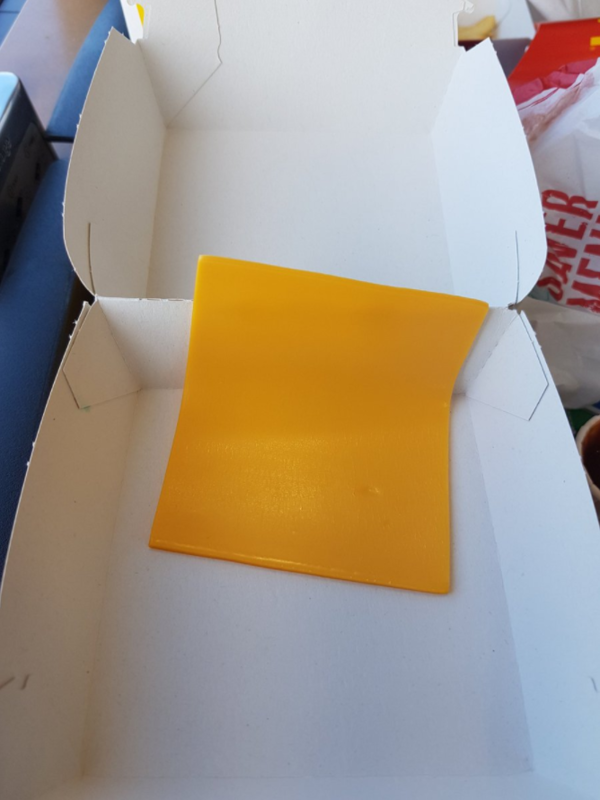 @MerchantYT The guy who made it was like "What kind of fuckery is that o.O"
Because when you order cheese in McDonalds, you get a cheese. 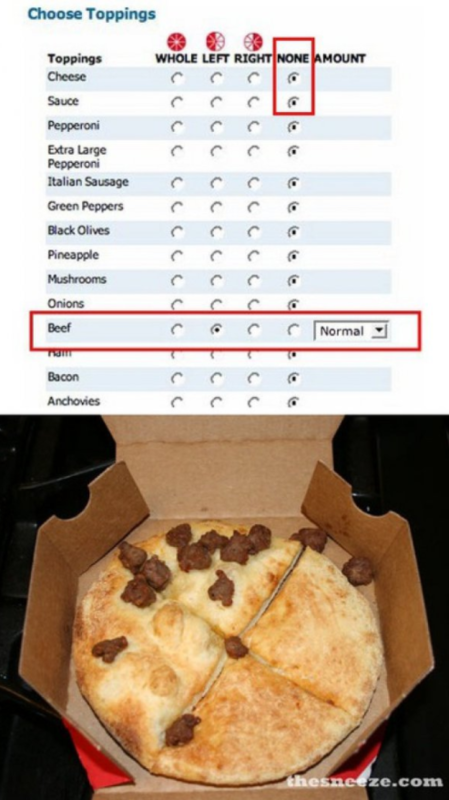 @MerchantYT this is the new "none pizza with left beef"
...in which a man ordered a "none pizza with left beef" and received this monstrosity.